When I frist saw the NARS Velvet Matte Lip Pencils come out, they ended up on my wishlist immedeiately, but due to their slightly high price, they never made it into my shopping bag. To be honest, 25$ for a lip product is way over my budget. 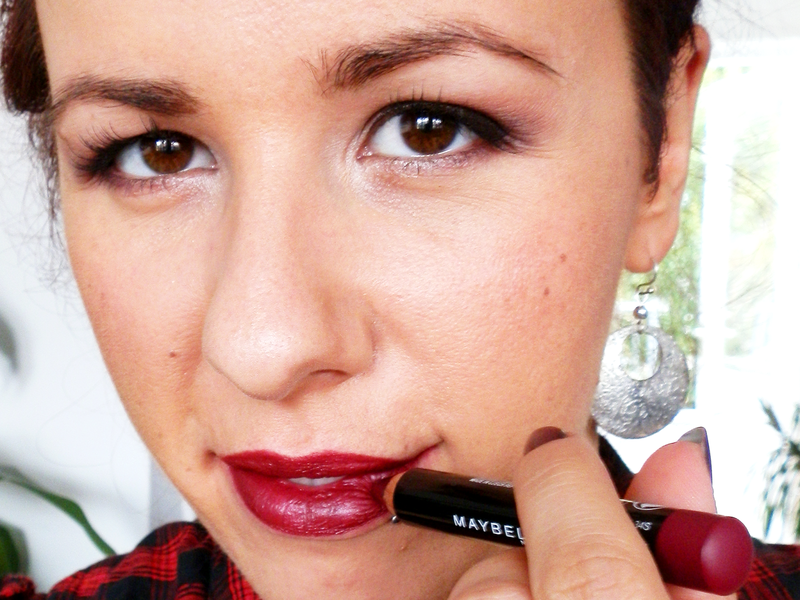 So you can imagine how excited I was at seeing the new Maybelline Color Drama Intense Velvet Lip Pencils on the stands a few weeks ago and curious to see if they had come out with a dupe. To be honest, I never owned a NARS Velvet Matte Lip Pencil, so I can’t make the comparison and say if they actually are dupes, but these look very similar to me, at least from the outside. They are all black with the end of the pencil indicating the color. They come in 9 shades, which is half of the NARS ones and a bit little is think, but you have 2 nudes, a couple of red and pinks and a beautiful dark berry. I resisted as much as possible, bu then they were on 2×1 at Etos and I couldn’t help myself. 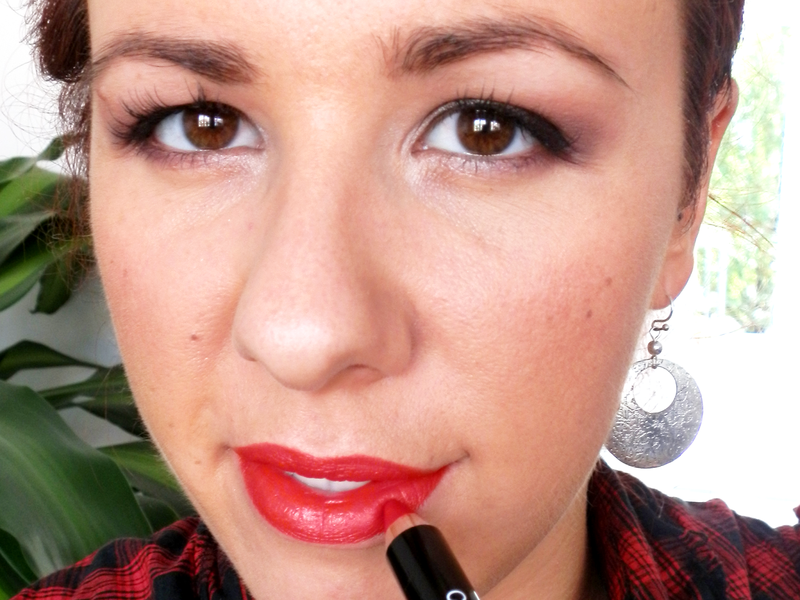 I love the concept of an oversized lip pencil. It makes the application extremely precise, similarly to normal skinny lip pencils, without having to spend too long at filling in the lips, which I find tedious. The texture is also somewhere in between a lip pencil and a lipstick, being creamy and comfortable, but with a very long staying power. They don’t stain the lips and don’t bleed, the best of both worlds. They shades I have are 310 Berry Much, the gorgeous berry tone I mentioned, 510 Red Essential, a dark red and 410 Fab Orange, an orange-red that I see myself carrying into fall easily. And here are the lip swatches. As for lasting power, these last on me at least 6 hours with drinking and a bit of eating. 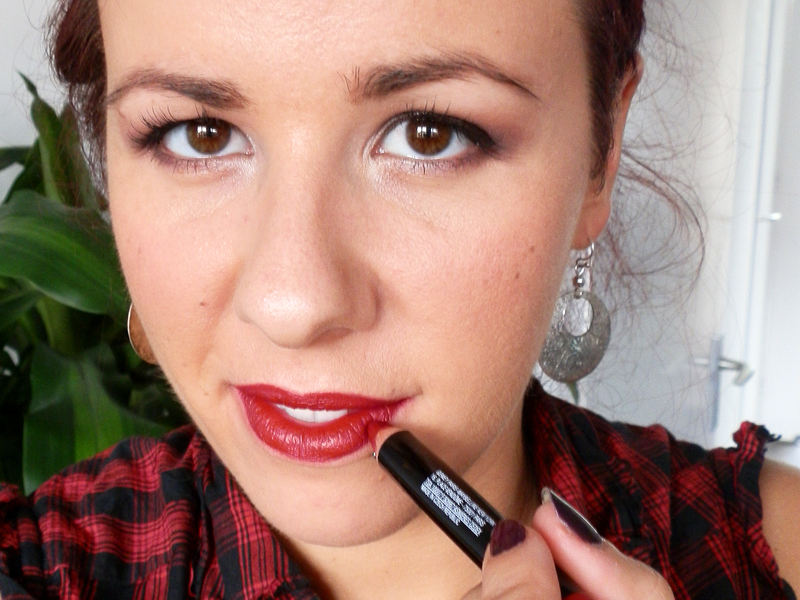 I have seen some feathering on the edges with the dark berry shade so I’ll be using it with an invisible lip pencil. My final verdict is LOVE, complete love for these little babies. I am a bit sad for the small color choice, but definitely happy with the ones I have. You can find them in any drugstore for 6.99€. 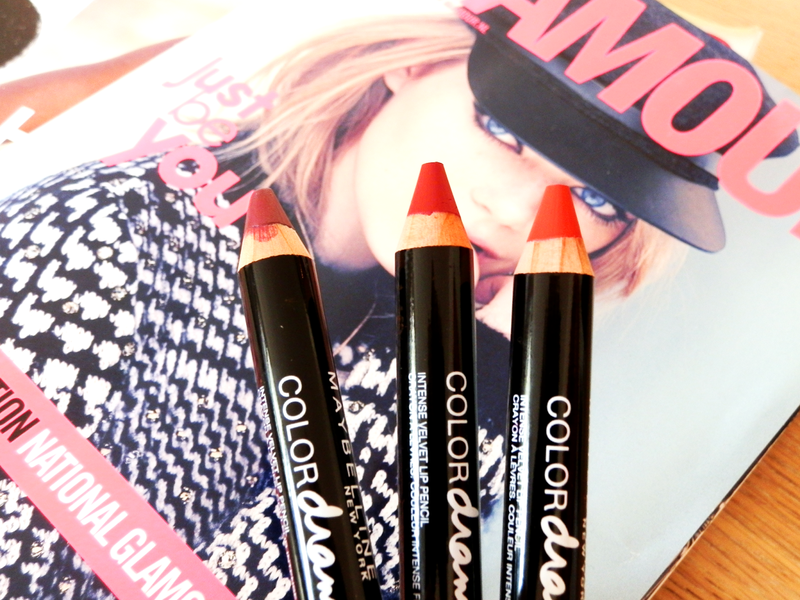 Have you tried any of these lip pencils? NARS or Maybelline?